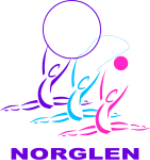 Thank you for your interest in NorGlen Rhythmic Gymnastics Club. If you have any questions regarding registration, please do not hesitate to contact us at NorGlenRGClub@gmail.com. ​If a registration is cancelled prior to the third class, a prorated refund minus a $20.00 administration fee will be given. After this time, refunds are issued for medical reasons only and must be accompanied by a medical certificate or doctor's note. I have read and understand Norglen's cancellation and refund policy. For full details please review the Classes page of the website. I, being the above named gymnast, or the parent or guardian of the above named gymnast hereby consent to the participation in rhythmic gymnastics under the general supervision of the Norglen Rhythmic Gymnastics Club ("the Club"), its coaches and supervisors. I accept complete and total responsibility for myself/my child at all times with respect to my/their participation in the Club program. In consideration of the Club accepting this application, I, the undersigned, hereby agree to indemnify the Club, its coaches and supervisors, and Rhythmic Gymnastics Alberta from any and all claims or demands which may be made against them in the event that myself/my child is injured while participating in or being transported to or from any location with respect to any event involving rhythmic gymnastics.